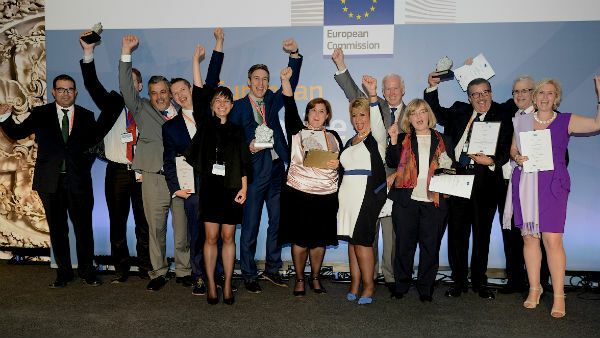 The seven winners of the eighth annual European Enterprise Promotion Awards (EEPA) were announced in Naples at the SME Assembly, which is the cornerstone of European SME Week. The Grand Jury Prize was awarded to Encouraging Business Start-ups by Mothers with Young Children, a Hungarian project that seeks to help mothers develop the skills and mind-set to launch and run successful businesses. It offers online resources and training programmes. The project also holds the Entrepreneurial Women’s Roundtable to help mothers navigate the world of business and build relationships with one another. Winners in the six official categories included organisations from Lithuania, Bulgaria, Spain, Italy, Germany and Portugal. These and many other initiatives encompassed areas as diverse as technology, sustainability and textile and proposed innovative solutions to a range of issues from pollution to lack of corporate social responsibility. Below is the breakdown of winners and runners-up in each of the six competing categories. Responsible organisation: Agency for Investment and Foreign Trade of Portugal, Public Enterprise (“AICEP”) in partnership with AMS-BR STAR PAPER, S.A. (“AMS”). Comments and links posted must be appropriate for a public forum. Discussion should be respectful.